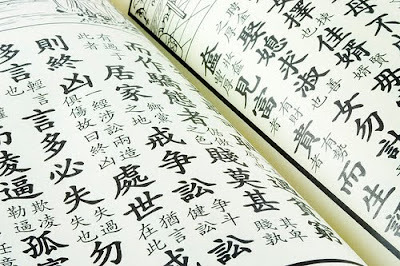 The Tong Sing (pictured above) is the Chinese Almanac that contains an extensive collection of traditional Chinese beliefs and practices. Though the main part of the book is a calendar filled with the auspicious & inauspicious dates of the year, there are also other sections that include yearly predictions, geomancy, charms, talismans, fortune telling, pregnancy charts, etc. Its history dates back to the Qing Dynasty! So basically whether you believe it or not, this book is legit or else why would it still be in existence today? So you all must be thinking why I'm mentioning this on my food blog. I'll gladly and sadly explain... So reason 1 why I believe that the Chinese almanac is more accurate than horoscopes (which I take with a grain of rice) is because it is extremely comprehensive. Not only do you have to look up what zodiac sign you are, but it is then divided by which of the 5 elements you are, & what time you were born, etc. So my prediction for this year was I'm gonna lose a lot of crap mostly in the realm of luggage and other miscellaneous things. Today I lost my mother's camera. I took pictures an documented my usual delicious meal and walked around, shopped, ate, took more pictures, and the next thing you know the camera is missing in my bag. I swear I didn't lose it but I guess I did because at the end of the day it wasn't there anymore. What was most upsetting was not that my mom was gonna kill me, it was that I lost pictures of my amazing Portuguese meal at Delta Cafe in Causeway Bay and pictures from Koon Thai later in the day. But let us recap as if this was a normal day. After walking around we took a break and went to Koon Thai, which I previously wrote about last time I was in Hong Kong here. We ordered a satay of lamb & cup of hot lemongrass drink with ginger & a glass of their peach speciality drink. So with no sign of the camera, we went off to buy a new camera and it is awesome!!! It even has a function just for food pictures and even a function to put makeup on you and hide imperfections in your face. Score! I will good in every picture now! So bad news, my mother thinks I'm cursed and I'm destined to lose everything this year. Also bad news I lost my Portuguese restaurant pictures. And also worse news, this adds to the list of reasons why my mother thinks I'm completely dumb and useless. Good news, I got an amazing new camera and good news I can also go back and eat there ago. See you tomorrow with a bunch of new amazing pictures!